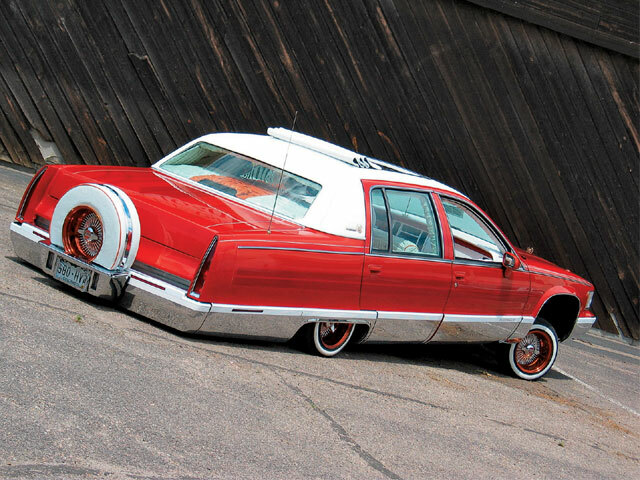 However You Feel About It, You Just Can't Ignore This Candy-Covered Colorado Cadillac. 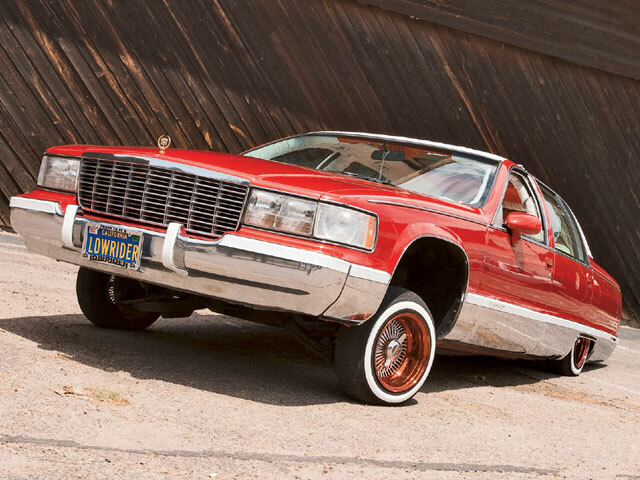 Rolling in a luxury lowrider like this ’94 Cadillac Fleetwood from Pueblo, Colorado, may look like nothing but good times, but there’s often another side to the story. Seeing a luxury low rolling slow on the streets is an inspiring sight to many of us, but if you talk to the owner you can bet that he had to roll with the punches to overcome an obstacle or two in order to get that beauty on the boulevard. Case in point, Cipriano (“Cipie”) and Dominique (“Niqua”) Romero’s ’94 Fleetwood, flying the Uce Car Club plaque in Colorado. Cipie works for the Colorado Department of Corrections, but he’s also an accomplished automotive paint and body man, as well as a veteran cruiser. 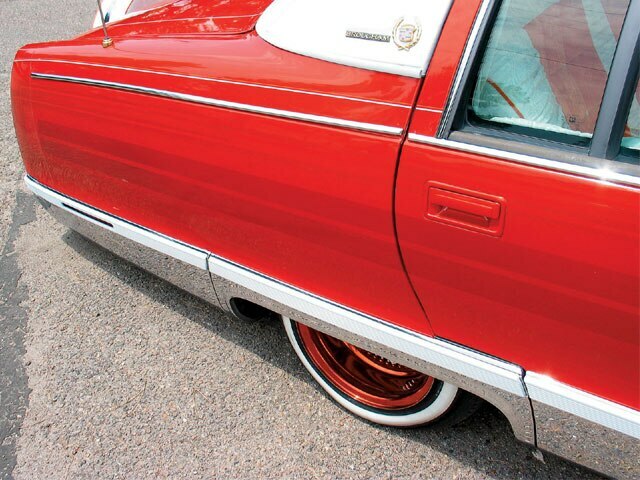 “I’ve been into lowriding since I was little through uncles, cousins and my dad,” says the long-time lowrider. 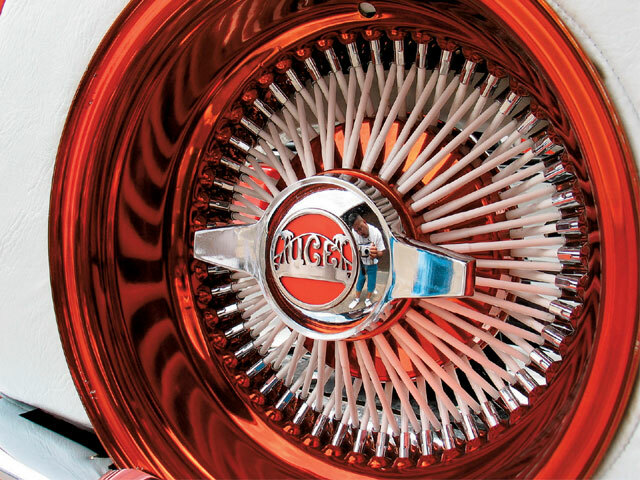 Cipie’s latest effort is this candy orange Caddy, which he found on a used car lot and which wasn’t always orange, even during its days as a car show low-low. 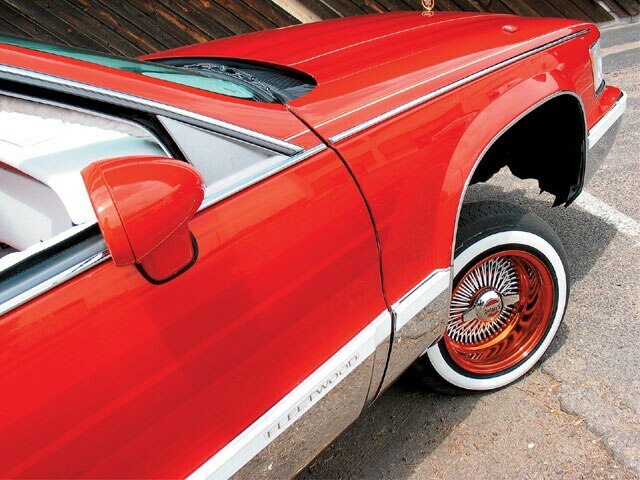 When we first saw the car at the 2004 Lowrider Magazine Tour event in Denver, Colorado, it was sporting a candy brandywine finish, but not for long, explains Cipie. 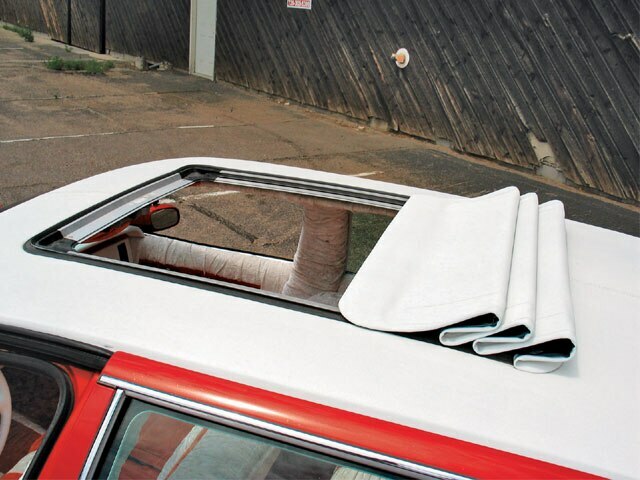 “Two weeks after the show, I was caught in a hailstorm which caused $5,000 worth of damage to the car,” he says. Cipie completed the makeover just days before the 2004 Las Vegas, Nevada, Super Show. In fact, says Cipie, the Fleetwood went right from the garage to being loaded on the trailer bound for the big event, where it won First Place in the ’90s Luxury Semi-Custom class. 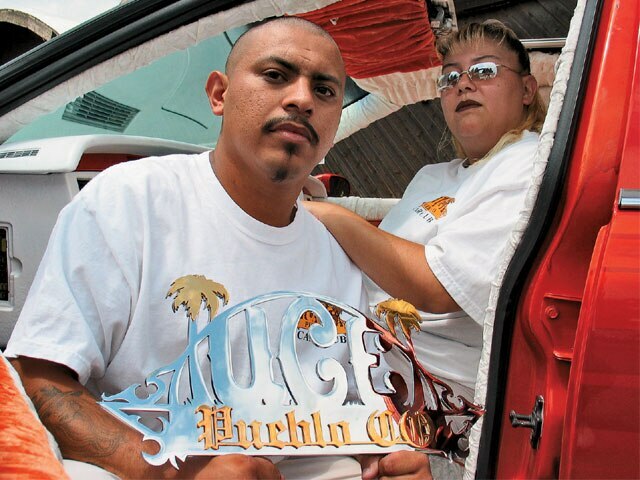 A wily veteran of the custom car game, Cipie knows that he couldn’t have done it by himself and credits “the entire Uce Car Club, especially the Pueblo chapter” for their help, as well as his wife for her patience. Now you’ve gotta love that. 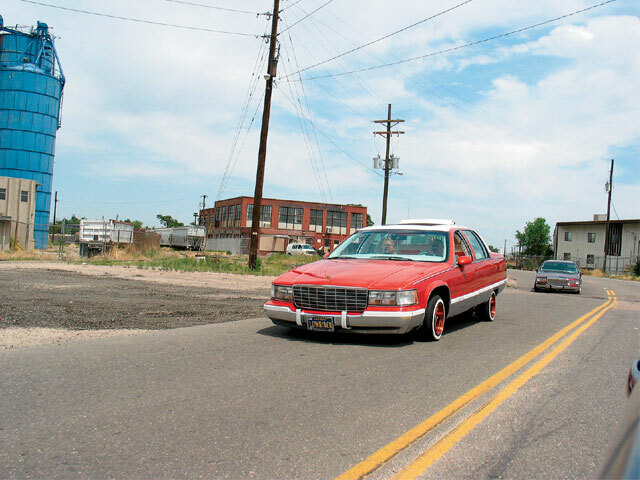 Hate It Or Love ItOwner: Cipie and Niqua RomeroVehicle: ’94 Cadillac FleetwoodCity/State: Pueblo, ColoradoClub: Uce C.C. Body/Paint: Working at Kandy Creations in Pueblo, Cipie capably handled his own body work (including the sliding ragtop) and applied SEM candy orange paint with gold patterns and pinstriping. 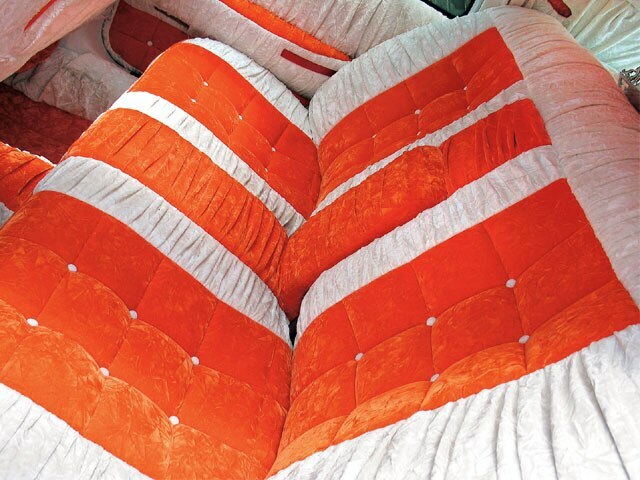 Interior: Angel’s Custom Upholstery in Alamosa, Colorado, did a heavenly job on the orange and white crushed velour comfort zone. 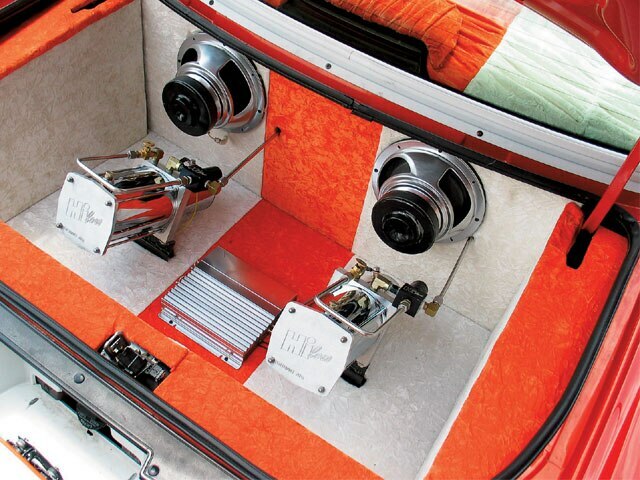 Sound System: An Alpine flip-face head unit plays through a 500-watt Kenwood amp and 10-inch Kenwood subwoofers. 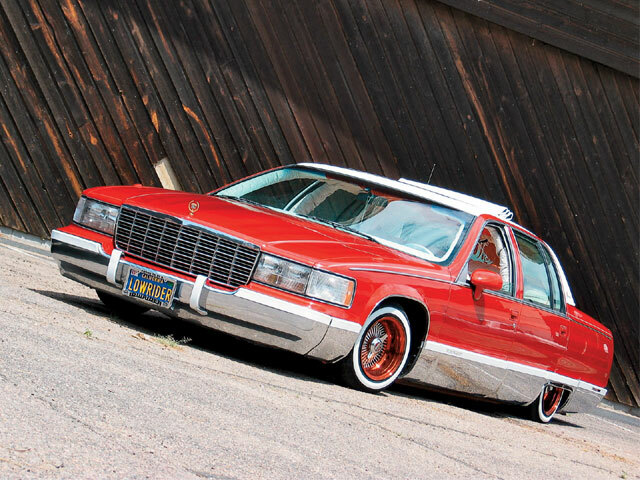 Setup: Cipie equipped his Caddy with a hard-lined two-pump Hi-Low Hydraulics setup that features chrome blocks, 8-inch (front) and 10-inch (rear) cylinders, 2-ton springs all around, two switches and four batteries. He also extended the A-arms 1 inch for better structural integrity.